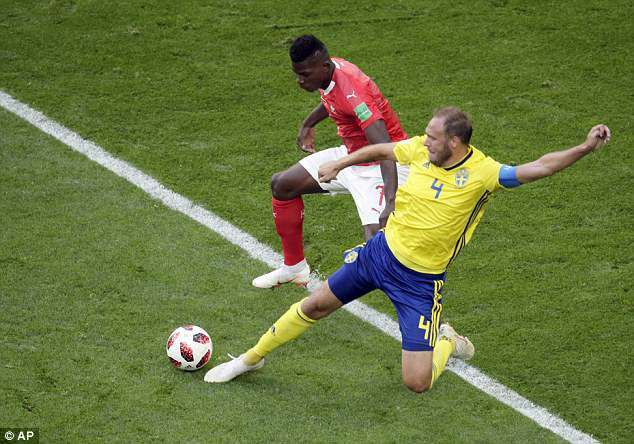 Sweden‘s defensive juggernaut Andreas Granqvist is prepared to miss the birth of his own child in order to play in their World Cup quarter-final against England on Saturday. 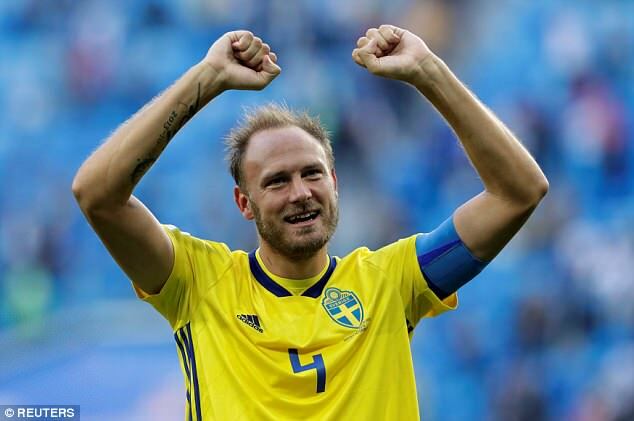 The 33-year-old has been the standout performer for Sweden in their shock march to the last eight in Russia, playing in all four games and scoring two goals including the winner against South Korea. With his wife due to give birth to their second child any day now, Granqvist would be well within his rights to go home to be by her side. However, he says he and his wife were prepared for this situation. ‘I’m planning to stay,’ he said. ‘My wife is a very strong person and we knew the situation before I came here. Nothing has happened so far. 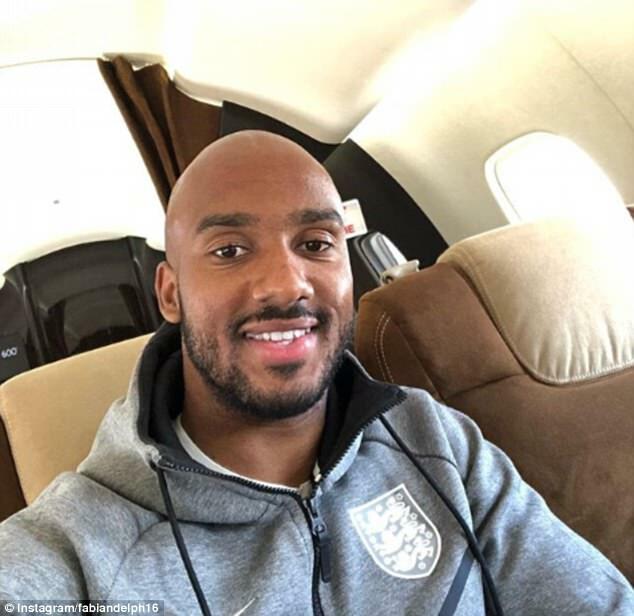 The news comes as Fabian Delph made his return to the England camp following the birth of his third child. The Manchester City midfielder returned back to the UK to be by his wife’s side last Friday and missed their shoot-out victory over Colombia. Delph has been a squad player for Gareth Southgate thus far and his absence from the team was not deemed overly detrimental to their chances of beating the South Americans. Conversely, Granqvist’s absence would be a major blow for Sweden. Sweden are performing at their highest level at a World Cup since coming third in 1994 despite the fact they chose not to include talismanic striker Zlatan Ibrahimovic in the 23-man squad. Granqvist, who admits England are playing better football than when the two nations last met in 2012, believes the lack of big names has actually been beneficial and enabled them to work as a collective unit instead. He said: ‘We play with a very good, compact defence. We lost a lot of big names — we had to start from the beginning and play with 23 players, not one or two. ‘We’ve worked really hard and we’ve shown that we really work for each other, we fight for each other and we do it as a collective. That’s the strength of Sweden at the moment. ‘Harry Kane is fantastic,’ he said. ‘They play more offensively now than they did before, with skilful players like [Raheem] Sterling. But they will find it difficult.